The Jewish holiday of Passover celebrates the Exodus of the Jewish People from Egypt, in the year 2448 (1313 BCE). This year is 5779, which means Jews have been celebrating for 3,331 years. Every year, Jews gather around the dinner table—if possible, with family and friends—for a Seder. It’s not hard: you follow the instructions in a small book called the Haggadah, which includes telling the story of the Exodus, drinking four cups of wine, and eating matzah, bitter greens, and a festive meal. Although Abraham was told, “Your offspring will be strangers in a land not their own for four hundred years,”1 when the Torah tells the story of the Exodus, we are told that the Children of Israel dwelled in Egypt for 430 years.2 Nevertheless, the pedigree of generations provided in Exodus 6:16-20 makes it impossible that they were in Egypt for anywhere near that long. How can that be? Because the oppression was so harsh, G‑d reduced their exile to 210 years. The Israelites were enslaved by the Egyptians shortly after the last of Jacob’s sons—Levi, who lived for 137 years—died.4 Levi was 43 when his father brought his entire family to Egypt to escape the famine-riddled Canaan. That leaves 116 years of slavery before they were liberated after a total of 210 years in Egypt. Moses was the son of Amram, a prominent Jewish leader. Since Pharaoh had ordered the slaughter of all Jewish infant boys, Moses’ mother set him afloat in a buoyant cradle upon the Nile. Pharaoh’s daughter found and adopted him, raising him in the palace. Many years later, at the age of 80, Moses was instructed by G‑d to approach Pharaoh and demand the immediate release of the Jewish people. When Moses commanded Pharaoh to “Let my people go,” Pharaoh understandably refused. In fact, he even increased their workload. Midrash tells us that the night G‑d began to smite the Egyptian firstborns, Pharaoh woke up frightened, for, in addition to the deaths of his citizens, his own firstborn had died. Read: Is There an Independent Source That Can Verify the Events Recounted in the Torah? Passover begins on the 15th day of the Hebrew month of Nissan and continues for eight days.8 It usually falls out in early spring (autumn in the southern hemisphere) during April or late March. When the Temple stood in Jerusalem, the first day of the Hebrew month was established by the supreme Jewish court (Sanhedrin) based on when the new moon had been sighted. On the 30th day of the Hebrew month, the supreme Jewish court in Jerusalem would wait to see if anyone came to testify that they had seen the moon. If witnesses arrived and their testimony rang true, that day was considered the first day of the new month. If not, that day was considered day 30, and the next day would be the first of the new month. Communities outside of Israel were often left uninformed of the court’s decision (no twitter back then!) and considered both the 30th and 31st as possible first days of the month. This influenced the observance of holidays because two separate days could have been the 15th of Nissan, for example. Nowadays, when the Hebrew calendar is immutable, and we know exactly when the first day of the month is, Jewish law still mandates that communities in the Diaspora celebrate two days of major Jewish holidays for other practical reasons (which you can read about in Why Do We Still Celebrate Holidays for Two Days in the Diaspora?). The second Passover Seder mirrors the first and is celebrated the following evening. Just like the first day is celebrated twice, so is the seventh (final) day of Passover extended into the eighth day in the Diaspora. The fact that Passover is celebrated in the springtime is not arbitrary. According to the Torah, the holiday must be observed during the “month of spring” in Israel.9 This is so important that the Jewish calendar is adjusted to make sure it happens. Because the lunar cycle (upon which the Hebrew months are based) is 11 days shorter than the solar cycle (which determines the year’s seasons), an extra month is added to the Hebrew calendar seven times in every 19-year cycle, allowing the lunar calendar to match up with the solar one. The extra month is always a second Adar (the month right before Passover). At the Passover Seder, we eat specific foods to remind us of slavery and freedom. The most important is matzah, an unleavened cracker made of wheat, spelt, or oats,10 eaten to commemorate the fact that the Exodus happened so quickly that the dough on the Israelites’ backs didn’t have enough time to rise. We also eat maror, a bitter herb—traditionally horseradish and romaine lettuce—to remind us of the pain of slavery. We celebrate our freedom by reclining on pillows as aristocrats did and drinking four cups of wine (or grape juice). The Torah says, “A mixed multitude (erev rav) went up with them [out of Egypt].”12 The commentators explain that these were converts who were awestruck by G‑d’s miracles and desired to place their lot with the Israelites. Moses was happy to accept them, but G‑d warned him that they would eventually cause trouble. Moses insisted on allowing them to remain, and unfortunately the “mixed multitude” were responsible for the sin of the Golden Calf. When telling Moses that the Israelites had created the Calf, G‑d said, “Hurry down, for your people, whom you brought out of the land of Egypt, have acted corruptly.”13 Why did He call them “your people”? Because it was Moses who insisted on taking the “mixed multitude” out of Egypt against G‑d’s advice, and they were ultimately responsible for its construction. When the Israelites were slaves in Egypt, they were not permitted to cease working for even a moment. Upon their exodus, G‑d commanded them to refrain from working one day a week to remind them of their freedom. We all know the reason we eat matzah on Passover—because the Israelites did not have enough time to let the dough rise and it baked on their backs as they left Egypt—right? While that is correct, it is interesting to note that G‑d commanded the Israelites to bake matzah the night before the Exodus to eat with their Paschal offering! Others explain that matzah actually commemorates both slavery and redemption. In ancient times, slaves were fed hard crackers (matzah-like) because they take longer to digest and do not have to be administered frequently. In addition, they remind us about the bread baked on the Israelites’ backs. The Israelites did not leave destitute, as slaves are wont to do. They received full restitution for their years of labor before leaving. Abraham had been promised that his offspring would leave the land of their oppressors "with great wealth." The Torah tells us that the Israelites were instructed by Moses to visit their neighbors before they left and request their gold, silver, gems, and expensive garments. The Talmud describes Egypt at that time as a silo emptied of its grain or a fisherman’s net devoid of fish. Midrash relates that the Israelites went so far as to tell their former owners where in their houses they kept their valuables. How did they know? During the plague of darkness, the Israelites—who were able to see—were told by Moses to search the Egyptians’ homes for precious items. The Hebrew word for Egypt, Mitzrayim, is etymologically related to the word meitzar which means “limitation.” Jewish mystical thought explains that just as we recall the historical Exodus, we ought to leave our own proverbial Egypts. There is no Nirvana; rather, every day we can and should become more connected to our souls by performing mitzvot and learning Torah. After all, it is our bodies and natural animalistic tendencies that tie down our neshamot (souls). By performing G‑d’s commandments and overcoming our natural negative inclinations, we liberate our spirits from these shackles. Seeing that the United States was founded as a response to religious persecution, it would make sense that such a prominent Biblical story would play a part in its culture. For example, the early pilgrims who settled America saw themselves reenacting the Exodus, as expressed in many of their recorded sermons. The 1957 film “The Ten Commandments” by Cecil B. Demille remains the seventh-highest grossing film of all time (when adjusting for inflation) and is based on the story of the Exodus. Scripture, in its description of the Final Redemption, tells us, “For you will not depart in haste (bechipazon) nor will you leave in flight.”25 The final march from the Diaspora to the Holy Land will be slow and deliberate. This is in stark contrast to the Exodus from Egypt where the verse, employing the same adverb, states, “For you departed from the land of Egypt in haste (bechipazon).”26 Why the difference? Jewish mystical thought explains that when the Israelites were leaving Egypt, the forces of evil were still strong, so they had to flee. When Moshiach comes, the negative spirits will have been completely wiped out, allowing us to tread slowly. Read: What is the Jewish Belief about Moshiach (Messiah)? Rashi, Exodus 12:31 from Mechilta. Rashi, Exodus 13:4 from Mechilta. There are five grains from which the matzah can be made: Wheat, barley, oats, spelt, and rye. Wheat is the most common, but spelt and oat matzah have become more available in recent years. Shulchan Aruch Harav, 476:6. The round egg represents the cycle of life. Read: Why the Egg (Beitza) on the Passover Seder Plate? Abudarham on the Haggadah, par. “Matzah Zo”; c.f. Likutei Torah Tzav. Abarbanel on the Haggadah, loc. cit. This argument was brought by Geviha ben Pesisa before Alexander the Great when the Egyptians sued for the wealth taken (Sanhedrin 91a). Deuteronomy 16:3; Mishnah Berachot 1:5. Mishneh Torah, Kriat Shema 1:3. Bradford, Sarah (1869). Scenes in the Life of Harriet Tubman. Dennis Brothers & Co. pp. 26–27. Archived from the original on June 13, 2017 – via University of North Carolina: Documenting the American South. See Gary S. Selby, Martin Luther King and the Rhetoric of Freedom. Bruce Feiler, America's Prophet: How the Story of Moses Shaped America. Rabbi Leibel Gniwisch currently resides, along with his wife, in Brooklyn, New York, where he received his rabbinical ordination. He has taught Jewish law at various schools in the US. 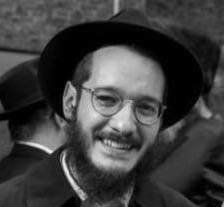 He has a passion for Jewish scholarship and writing and hopes to publish a book one day. From the tribe of Benjamin, (Benjamin Franklin). Chametz is not only bread which has the potential to rise or swell but legumes and rice. If you have ever made pita yourself, you would know that it also rises. The high temperature causes the rolled dough to have a balloon effect, before it falls back again. The cooked version of pita is always substantially thicker , due to it being risen during cooking. Unless you’re buying supermarket pitta , that’s a poor comparison. All dough is leavened. There is yeast in the air that causes all dough to rise. The difference between matzah, which is thin and hard, and pita, which is soft and thick, is really just that matzah bakes faster and does not go moldy. For most of human history, matzah was soft. It was only a few hundred years ago that hard matzah became vogue. We have an article on the topic here.